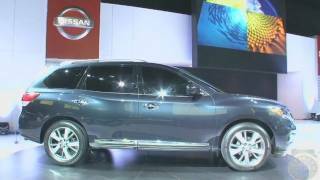 The Nissan Pathfinder Concept, on display at the Detroit Auto Show, previews the all-new look, style and attitude Nissan will bring to the segment when the next-gen Pathfinder goes on sale in fall 2012 at Nissan dealers nationwide. 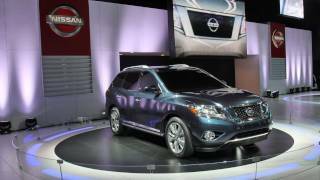 Pathfinder, Nissan’s best-known nameplate in the United States, is one of 20 new or redesigned products Nissan plans to introduce in this market within the next two years. 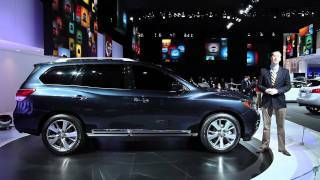 Nissan is reinventing its popular Pathfinder SUV to appeal to customers looking for SUV capabilities with more passenger comfort, innovative technology and fuel-efficient performance. The Pathfinder Concept, on display at the North American International Auto Show, previews the all-new look, style and attitude Nissan will bring to the segment when the next-gen Pathfinder goes on sale in fall 2012 at Nissan dealers nationwide. Pathfinder, Nissan’s best-known nameplate in the United States, is one of 20 new or redesigned products Nissan plans to introduce in this market within the next two years. 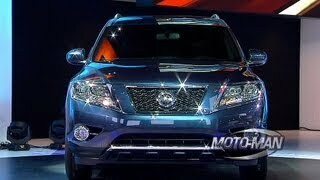 At first glance, it is clear the Pathfinder Concept is a game-changer for the Nissan brand. The stylish fourth-generation Pathfinder design brings a new look and packaging that’s ideal for adventurous owners who need versatility and SUV capability without compromise. The sweeping character lines of the Pathfinder Concept give a hint of a design language that will carry through future Nissan models. The Pathfinder Concept also features innovative 3-row interior flexibility and room for seven passengers. While the Pathfinder Concept making its world debut in Detroit provides a full glimpse of the exterior design direction the production vehicle will take, details on the interior and technology inside will have to wait. 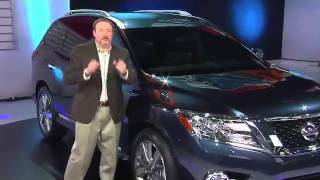 It is safe to say, however, that the next-gen Pathfinder’s roomy cabin will deliver innovation and class-above craftsmanship – with excellent legroom in all three rows and ample cargo room behind the 3rd row. Additional information will be available soon. With a strong commitment to developing exciting and innovative products for all, Nissan delivers a comprehensive range of fuel-efficient and low-emissions vehicles under the Nissan and Infiniti brands. A pioneer in zero emission mobility, Nissan made history with the introduction of the Nissan LEAF, the first affordable, mass-market, pure-electric vehicle and winner of numerous international accolades including the prestigious 2011 European Car of the Year award.